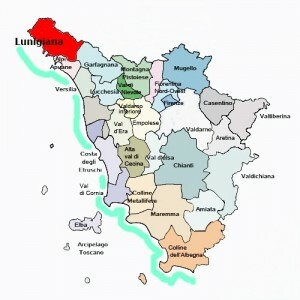 The territory of Lunigiana includes the border area between the regions of Tuscany, Liguria and Emilia Romagna. Along the axis of the river Magra and its tributaries, in the slopes of the Apuan Alps, a sharp mountain range, known for the beauty of the marbles and the centuries-old quarrying activity. 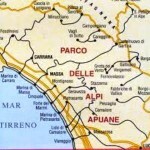 The adjective “apuane” derives from the fact that in antiquity they were inhabited by the Apuan Ligurian peoples known for the megalithic culture of the Stele Statues. 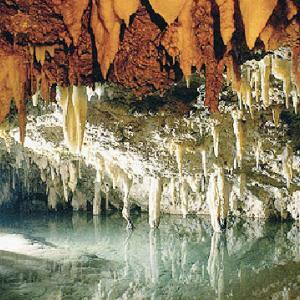 The area is known for the beauty and richness of the environments and landscapes composed of deep abysses and large cavities resulting from a labyrinth of tunnels and wells, as well as particular karstic caves with stalactites, stalagmites, sails and columns. The Lunigiana was inhabited from the Paleolithic onwards. The name derives from Luni, an ancient colony of imperial Rome, founded in 177 BC. at the mouth of the river Magra. After the fall of the Roman Empire (476) it was occupied by Ostrogoths, Byzantines, Lombards and Franks. Charlemagne in 802 invested the Adalberti family with possession of much of Lunigiana. Heirs of the Adalberti were the Malaspina, who took this name in the twelfth century when one of the members began the Malaspina dynasty, after divided into two branches: the “spino secco” and the “spino fiorito” that built numerous medieval castles, some of which well preserved and visitable (Fosdinovo, Fivizzano, Pontremoli, Massa). Still in the mountains, you can find places where ancient crafts have resisted technology. The territory of Lunigiana also bears witness to the great religiosity in ancient times, due to the passage of the Via Francigena, a pilgrimage route that led to Rome, and which contributed to the construction of a large number of Romanesque churches and parishes, abbeys and oratories. Every year the Apuan Alps receive hundreds of tourists, for this reason numerous paths and itineraries have been created scattered throughout the mountain range, managed above all by the C.A.I. (Italian Alpine Club). There are many opportunities to practice sports in Lunigiana. From bird watching to hiking, from geotourism to caving and more, canoeing, canyoning, rafting, mountain biking, Nordic walking and much more. Within the Regional Natural Park of the Apuan Alps there are guides involved in environmental education and naturalistic education. To read more about the attractions and tourist services offered, click on the name of each municipality listed. It is the most important commercial and industrial center of Lunigiana, located on the border with the region of Liguria, and surrounded by hills dotted with characteristic villages. The historical events have been influenced by the fact that they have always been a node between important communication routes. In fact it is documented as one of the stages of the ancient Via Francigena (or Romea). The territory of Aulla is rich in cultural, natural and gastronomic routes, as well as historical monuments such as the centuries-old Abbey of San Caprasio and the imposing Fortress of Brunella. Nearby Aulla, there are charming small villages that still retain the original medieval look like Caprigliola with the Medicean walls, Bibola and Bigliolo with ruins of castles, Albiano and Olivola with medieval houses and the particular medieval village of Pallerone. In these places you can also appreciate the genuine cuisine of the Lunigiana area. The village of Bagnone, which still preserves the sloping rings towards the bottom of the valley, is located on a rocky spur, surrounded by a dense forest of pines and oaks. 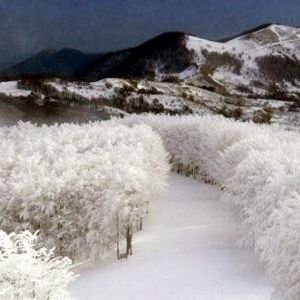 The territory has an essentially mountainous morphology, dominated by the Apennine ridge, where Monte Sillara is detached. 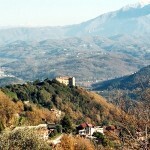 The area is rich in places of historical interest such as the various castles such as the castle of Trschietto and small villages around Bagnone such as Corvarola. The territory is also crossed by the Bagnone torrent that forms small waterfalls and ponds where it is possible to fly sport fishing and in the winter months the practice of kayaking. 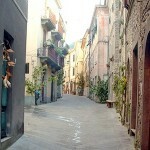 Casola is a very well kept and suggestive hillside village, with palaces, portals and medieval and renaissance shops. The strategic position, near the Apuan Alps Park, allows numerous naturalistic and thermal paths. Nearby, you can admire works such as the Pievi di Codiponte and Offiano, the Pieve San Lorenzo and enchanting villages such as Regnano, Ugliancaldo and Castiglioncello. Casola is included in the Via dei Mercati Medievali, an initiative that seeks to recall the ancient fairs and markets. During the year, 3 fairs are organized, one in Casola and others in the nearby towns of Codiponte and Equi. As for food and wine, it is worth mentioning the Marocca di Casola, a tasty chestnut flour bread that should be tasted with cheeses and Colonnata lard. 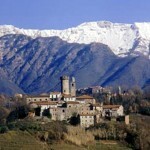 Comano is located in the upper valley of the torrent Taverone, on the border with the region of Emilia Romagna. The territory is typically mountain. In this area there are peaks that pass 2,000 meters. 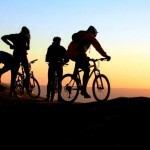 Throughout the municipality there are numerous paths that allow you to trek along the ridges, with views of the most sought after Lunigiana, or to go horseback riding or mountain biking. Passing Comano, you reach the Lagastrello Pass, where Paduli Lake is located, in a basin created by Monte Acuto and Malpasso. From the Lagastrello pass, a few kilometers away you can reach Prato Spilla and its ski resort with 10 km of slopes, served by three lifts: a chair lift, a ski lift and a treadmill in the baby field, in addition to the snow park. The locality, located at 1350 meters s.m.l. already in the region of Emilia Romagna, it is an area with high environmental value included in the Parco dei Cento Laghi. Trout fishing is practiced in the lakes and in the numerous waterways that run through the area. The village of Filattiera was originally an ancient Byzantine fortification. In the territory there are important religious testimonies such as the Romanesque church of Sorano. Nearby Filattiera, there are other medieval villages, such as those of Ponticello and Caprio with tower-houses, as well as areas of nature with spectacular landscapes such as Rocca Sigillina, Lusignana and the Prati di Logarghena. 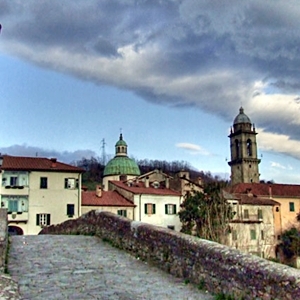 Fivizzano has a municipal territory among the largest in the Lunigiana area. It has always been an important center, as evidenced by the large number of churches, castles and palaces in the historic center. In the town was born Jacopo da Fivizzano who developed the printing process with movable type, preserved in the Museum of Printing. In the municipal territory there are other interesting inhabited areas, such as the village of Monzone with the Museo del Lavoro, Gragnola with the Castello dell’Aquila and the Caves Park of Equi Terme. Inside the park is the Museum of the Caves that includes an underground karst complex with cavities, tunnels, salt with four types of water (sulphurous, salty, black, sweet). From the Buca (entrance), an equipped path leads to a succession of 9 caves, full of stalactites, stalagmites and all kinds of natural concretions. The route ends along an underground pond. Typically with appearance of a medieval village, the town welcomes tourists with its impressive Malaspina castle, which contains, within its walls, many legends and stories, such as the ghost of the girl in love. 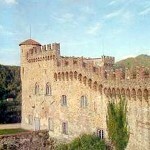 In the surroundings of Fosdinovo there are also several castles, villas and bourges. There are numerous routes that can be done, either on foot, by bike or car, entering the lush nature of the mountains that surround the village of Fosdinovo. The route from Fosdinovo to Aulla passing through the castle of Ponzanello, the village of Treschietto and the village of Bibola is interesting and easily walkable. 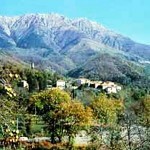 The town is located along the Taverone torrent in the middle of a flat area with some mountain ranges. It is a typical example of a village developed in the valley floor, eminently with military barrage functions. The whole of the fortifications includes the fortress, a large ring of partly existing bastion walls and a fort on the other side of the river. The latter, called Castello di Piano, is an interesting example of military architecture, transformed into a residential structure in the 16th century. In the town hall square is the monument-ossuary of Anacarsi Nardi, the Renaissance hero who gave the city its current name. In the territory there are also several castles: Bastia, Monti, Pontebosio, Terrarossa. 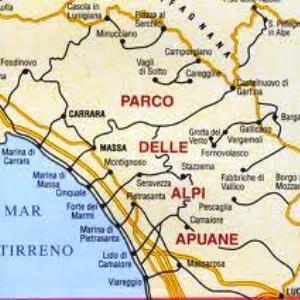 In addition, the Pieve di Venelia, the village of Panicale (with the Medici palace), Apella (with the Nardi house) and the village of Tavernelle with its old shops of merchants. Mulazzo is a village located in the high course of the Magra. Home to an ancient Ligurian village-castle and another castle of which only the so-called Dante tower remains, in Mulazzo you can also admire the ancient arches of the Malaspiniano aqueduct and Piazza Dante, dominated by the church of San Nicolò and the Malaspina palace Zini. 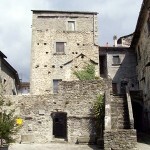 The territory of the municipality is punctuated by castles and fortified villages: Montereggio, home of the book fair, the village of Castevoli, the castle of Lusuolo, home of the Emigration Museum, the castle of Gavedo, Canossa, Campoli, and Castagnetoli, note for the production of a typical Lunigiana kitchen tool, the text. Despite its small size, Podenzana’s comume is one of the most characteristic of Lunigiana. The territory, mainly hilly, is very suitable for the cultivation of the vine, the olive tree and the “binott o” apple tree, a typical local product. A substantial part of the economy is represented by tied tourism and local gastronomy. 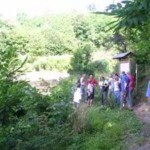 The presence of numerous and significant “majesties” in the territory of Podenzana is curious. These small artistic jewels are shrines with marble or stone bas-reliefs placed by the wealthiest families at the intersections of the streets, in general dedicated to the Madonna. Located in the valley of the river Magra, the village of Pontremoli is located on one of the oldest connecting roads between Liguria and Tuscany. The name probably derives from Pons Tremulus, to indicate the poplar used in the construction of the first bridge or, perhaps, also by the flickering due to the flexibility of this type of wood. Pontremoli retains many vestiges of its important role in the past: in the historic center you can still admire the ancient medieval bridges, the tower-houses and the fortifications, but also refined religious buildings of the Baroque age. Pontremoli is also known as the “City of the Book”. The link between the town and the printed paper dates back to 1458, when, less than two years after the invention of the press, a mercatum tomorum (book market) is historically attested here. It is precisely from the great tradition of the booksellers of the place that the prestigious “Bancarella” Literary Prize was born in 1952. 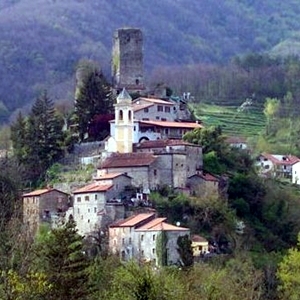 The village of Tresana is perched on a hill, surrounded by green woods of chestnut woods. The town is dominated by the ruins of the quadrangular tower and the trunks of two smaller towers that were part of the original castle. The castle of Villa di Tresana, completely restored, is one of the attractions of the area. The surrounding landscape is characterized by many paths and scenic roads, as well as the Peno and Osca torrents, whose waters, are exploited for irrigation of the cultivated fields of vegetables. 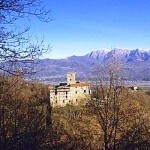 Around Tresana, there are various other charming villages like Barbarasco, Groppo, Giovagallo, where the ruins of the old church and the old castle, Noveggiola and Villa are still visible. The village of Villafranca has developed along the Monte Bardone road, on the medieval route of the Via Francigena. 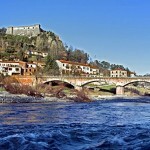 The municipal territory includes some villages and interesting historical centers for urban conformation such as Filetto, Fornoli, Irola, Virgoletta. Worth noting is the Castello di Malnido and the Castello di Malgrate. The area enjoys a particularly favorable climate for what at any time of year: in winter the ski resort of Zum Zeri works, while in spring and summer many paths allow hiking and trekking in the middle of a relaxing panorama. The Apuan Alps are characterized by a very harsh morphology, with deeply engraved valleys and the imposing and very inclined slopes of the mountain massif. The Apuane are known for the beauty of the marbles, for the deep abysses and for the great cavities and caves of the karstic subsoil. In fact, there are an impressive labyrinth of galleries and wells with more than 1,300 caves of various sizes, which can be visited with adequate equipment and the accompaniment of a caving guide. In some caves have been found traces of human presence dating back to the Paleolithic concerning the Neanderthals. The main points of interest of the Apuan Alps Park are the Botanical Garden of P. Pellegrini in Pian della Fioba, Monte Forato, the Carrara marble quarries, the LIPU oasis of Campocatino, the Grotta del Vento, the Antro del Corchia and the Museum of Casola in Lunigiana. In the stretch of a few kilometers, starting from the short coastal plain of Versilia, the Apuan Alps rise up to touch the two thousand meters of altitude with the summit of Monte Pisanino (m 1947). Despite the extension of the reserve – 40000 hectares (400 km²), the area hosts about half of the plant species present throughout Italy. The geographic isolation of the mountain range and its peculiar environmental characteristics have allowed the differentiation of many endemic species, plants that live only in this territory. The number of streams and rivers is very high in this area. For this reason, most are used for the purpose of forming artificial lakes used to produce electricity, such as Lake Vagli. The Apuan are famous for the centuries-old marble quarrying activity which has given the environment a peculiar imprint, causing cuts and fractures of the relief up to the highest altitudes. The white marble called Carrara marble is well-known all over the world. In the valleys of the Turrite of Gallicano and of the Edron, there are two ancient sanctuaries that have in common the peculiarity of owning a wall that has the task of hiding a series of underground rooms where the furnishings destined to worship are still preserved. 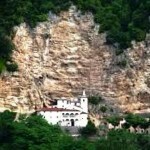 The largest of the two is the Hermitage of the Calomini, in the Municipality of Vergemoli, while the other is the hermitage of San Viano, located a short distance from the town of Vagli Sopra. Located on the side of Monte Sumbra there are two natural rarities: the great natural arch of Monte Forato and the “Marmitte dei Giganti” (glacial wells). Inside the park there are also innumerable now abandoned mines that in the past played a fundamental role for the economy of the time. Important were the mines of Trimpello, near the Grotta del Vento, which were the only source of iron extraction for the Este family of Ferrara. 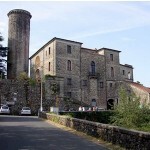 Other mines are located on Mount Tambura and in Verrucolette in the municipality of Minucciano. Minerals like copper, sulfur, silver and zinc were mined from the mines of Versilia and Massa. the Antro del Corchia, is the largest cave in Italy with over 70 km of underground pipeline development. The part that can be visited includes a distance of about 2 km. (municipality of Stazemma – LU). 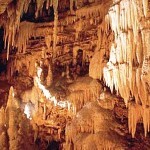 the Buca d’Equi Terme, is a complex of 9 sequential caves located in the municipality of Fivizzano (MS). The park includes a great variety of mountain and hill environments and the famous white marble quarries. 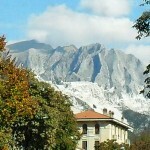 Monte Sagro (1749 m), overlooks the Carrara area. The Apuan rock is very often unstable and therefore not suitable for the practice of the alps, but many famous climbers have nevertheless ventured on these mountains tracing routes that have become real classic, in recent years, then, with the affirmation of sport climbing, many new possibilities have been identified in almost all the mountain groups of the chain. Starting from the famous north wall of Pizzo d’Uccello, to Gabellaccia, to the Towers of Monzone, to the Contrario, to the Sumbra, to the Corchia up to the Procinto and to Monte Penna. Bergiola (MS) – rocky wall up to 70 meters high with difficulty from 6 to 7 East exposure. The valley of Camaiore (LU) – extended climbing center with many high difficulty routes. Le Rocchette (Molazzana – LU municipality) – walls located at 1000 meters above sea level, advised against in winter. East-West exposure. Difficulty from 5 to 7. La Serra (Careggine – LU) Short paretina equipped on limestone selciferous. Exposure South-East Difficulty from 5 to 6c. 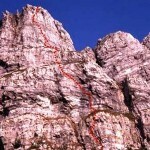 Rifugio Orto di Donna – crag from 4 to 7. The via ferrata attacks with a metallic ladder and continues on steps carved into the rock in the almost vertical wall, then the path leads to the left by the ledge, enters a narrow gorge until reaching the summit in the shape of a cone, where we find “the garden “, dense scrub of various essences and the cave where a minuscule source filters. Easy equipped way that allows you to safely travel across the summit of the great natural arch of Monte Forato, which connects the two twin peaks. From the Foce di Petrosciana all the SE ridge is crossed to reach the southern summit and from here connect to the Foce di Valli. Long equipped road that connects Monte Focoletta to Passo Sella running under Alto di Sella. It does not present great difficulties, as long as you pay attention to the stones that can fall from the ridge. 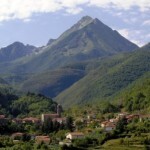 Pizzo d’Uccello, the northernmost of the Apuan peaks, dominates the Lunigiana side of the Park with its imposing northern face. The vertiginous 700-meter-long rock face stretches for several kilometers, forming a wide and spectacular amphitheater at the ends of which two via ferratas have been equipped to attach the wall to the most accessible points or to make a ring route. The starting point for these via ferrata is Cave Cantonaccio, which can be reached from the Equi Terme Solco or from the Ugliancaldo marmifera. 1 – Via “Domenico Zaccagna” connects Cave del Cantonaccio to Foce Lizzari (1250 m above sea level) and Nattapiana crest CAI 190 trail. 2 – “M. Piotti” equipped way. From the Foce Lizzari the CAI 191 trail runs under the crest of Nattapiana up to Foce a Giovo, from where, in short, you reach the peak of Pizzo d’Uccello. 3- Via ferrata “Tordini – Galligani” connects Cave Cantonaccio to Foce a Siggioli (1,390 m asl) and to the crest of Capradossa.It is certainly the most spectacular and challenging of the three with a vertical drop of 450 m and about 2 hours of It requires special attention, especially when faced downhill, to safety maneuvers and the absence of vertigo. This new via ferrata climbs from the Valle degli Alberghi to the Passo delle Pecore, located between the Forbice and the Contrario, thus connecting to the new “Orto di Donna” refuge. It is very technical and above all, it is difficult to return, there is not a good alternative path that leads back to the base. It is recommended only for very experienced hikers or mountaineers. The attack of the road can be reached from Casa Biforco (above locà Forno di Massa) by unmarked path. The Apuane Alps represent a very important karst area in Europe. Out of 800 cavities explored, almost 200 have a spatial development of more than 100 meters. The caves are widespread in the carbonate, metamorphic soils of the Autochthonous and of the Tuscan ground and their distribution is accompanied by that of the main springs. The mountain group of the Panie with the plateau of Vetricia, the Carcaraia, the Valley of Arnetola are real havens for speleologists, but it is above all the karst complex of Mount Corchia with its 55 Km of tunnels and wells to recall the expert attention. There are three Apuan caves open to tourist visits, but other caves, of easy and medium difficulty can be discovered with the help of the Park Guides specialized in caving. This is the most important karst complex in Italy. The total route, of 1.978m, uses 646 meters of passarelle and 1.005 steps. The temperature in the cave remains constant during the year around the value of 7.6 ° C.
It offers visitors a complete picture of the geo morphology and history of one of the wildest valleys of the Apuan Alps. In addition to the Buca di Equi which maintains a constant internal temperature of 13 ° C, it is possible to visit the Tecchia, the Museum of the Caves, the Solco d’Equi and the Archeoparco with educational and experimental archeology activities. It offers three different routes, equipped with comfortable trails, 1 hour, 2 hours, 3 hours that allow you to have a complete view on underground karst and to safely visit an environment of rare beauty and charm. 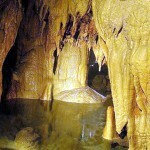 The temperature in the cave is constant at 10.7 ° C, annual opening. Explored by Antonio Vallisneri in 1704, it was the first cave of the Apuane to be studied from a scientific point of view. It consists of a large uphill gallery, crossed by a stream with various waterfalls and a siphon over which the cave continues for another 200 meters. The cavity opens with a swallow hole, a tortuous corridor leads, after some jumps, to a first well, beyond which a wide corridor leads to a landing from which, with a series of jumps, you reach the terminal rooms. There is a vast network of paths covering the territory of the Park. A large part, about a hundred, are those reported by C.A.I. Italian Alpine Club. To these are added the long distance itineraries realized by the Mountain Communities, such as the Garfagnana Trekking, the Apuane Trekking, the Lunigiana Trekking or the Alta Via delle Apuane. Before tackling each route, it is advisable to have detailed maps, to check the suitability of the same and the weather conditions. Below there are some more classic itineraries, which you can follow alone or with the guidance of the park guides. The Piglionico is the starting point of the excursion. Leaving the car near the chapel, go up the CAI path n. 7 to Rifugio Rossi from where, with another hour of ascent (CAI 126 sign) in the Vallone dell’Inferno, you reach the summit of the Pania della Croce the “Queen of the Apuane” (1859 m.s.l.m.). The trail now descends to the Foce di Mosceta and the Rifugio del Freo. From here, take path n.9 and, shortly after, the 127 which, bypassing the Pizzo delle Saette, leads back to the starting point. From Fornovolasco the CAI path n. 6 that goes up to the Foce di Petrosciana, passing near the Tana che Urla and the source of the Chiesaccia. From the Foce, an obvious path, not marked, runs along the ridge, passing near the arch of Monte Forato (1,223 masl) to reach the Foce di Valli, the alternative is given by the CAI 131 trail that drops slightly to the height but still reaches the same location at the foot of the southern slope of the Pania della Croce. From here the CAI 130 trail sign, touching some scattered houses, reaches Fornovolasco again. For a shorter itinerary, from the Forato, go down the CAI 12 trail sign until you meet n. 6 and finish the tour at Fornovolasco where the Grotta del Vento is located. Leaving the car at the end of the paved road that leads to Orto di Donna, near the Donegani shelter, go up the CAI 180 trail to the Foce di Giovo, from here with a short detour to the right you reach the peak of Pizzo d’Uccello ( recommended only for expert hikers). On the other hand, our tour continues on a slight slope with the CAI 179 signpost under the walls of the Cresta Garnerone and Grondilice, until reaching Cava 27, where the marble road coming from Orto di Donna ends. Here is the new refuge of the Apuane Park. Continue, now, again to CAI 179, passing near the bivouac K2, up to the Foce di Cardeto. Now the CAI 178 trail descends into the beech forest to return to the starting point again. From the square of Resceto (MS) the CAI trail marker 35 retraces the ancient Via Vandelli, built in the eighteenth century to connect Modena with Massa. The steep paved hairpin bends reach the “Vandelli window”, evident carving in the rock, beyond which the CAI Nello Conti Refuge is located. From the window, still climbing, you will soon reach the Passo della Tambura. From the Pass, the road, again through steep hairpin bends, descends to Casone del Ferro and Valle d’Arnetola, from where you quickly reach the village of Vagli di Sopra. If the mule-ways of the intermediate sections are excluded, the Apuans are not an easy terrain for horse-riding excursions. 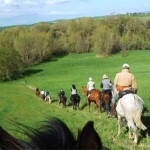 They demand docile, well-trained horses and the accompaniment of expert equestrian guides. From the Prade, on a demanding trail that goes into the Valle del Frigido, you reach the Saint and the town of Canevara, at the confluence of the Antona canal; from here continue on an ancient mule track in the direction of the village gathered on the southern slopes of the homonymous mountain, with beautiful views towards the marina and the valley below. Then through the path that rises to the north of the town you reach Pian della Fioba, where you can visit the “Pellegrini” Alpine Botanical Garden. With a few kilometers of asphalt and some tunnels where you need to have torches, you get to Arni where you can stay overnight at the “Aronte” pension or at the Puliti refuge (open by reservation). From Arni, follow the marmifera that climbs to Passo Sella which opens up with beautiful expanses of meadows and superb views. The descent towards Vagli and its lake gently winds through the beech woods of the Valle di Arnetola. Overnight at the hotel in the Vagli di Sotto Alps. Easy stop through an itinerary among the most evocative of the Garfagnana side of the Apuan Alps. Passing through Vagli di Sopra you reach the Campocatino mountain pasture in the green valley of glacial origin, a pleasant place dominated by the imposing Roccandagia wall. Now on asphalt we continue to Gorfigliano and the lake of Gramolazzo; from where you continue to reach the village of Ugliancaldo, in a unique position overlooking the Pizzo d’Uccello and the Pisanino, and continue, through the deep gorges of the Lucido valley, towards the destination at Equi Terme. Overnight stay in a pension or hotel. Difficult stage due to the strong difference in height to be overcome in the last section, from the 277m of Monzone to the 1.320m of Campo Cecina, on a dirt and steep road. On ancient mule track you reach the medieval village of Aiola, then Monzone which is the background of the remarkable steep tower of the homonymous Tower (1,251 masl) Going up the ancient steps of the village take the dirt road that, through the Monsonari Valley, leads to “Prati di Cardeto” and with a challenging trail, keeping to the left of the head of the valley, you reach the top of the Campo Cecina terrace. Overnight at the Carrara Refuge. On a demanding trail, crossing the Gabellaccia pass, descend to the town of Castelpoggio, the ancient seat of bellicose anarchists, then to the town of Gragnana, stretched into the narrow and green valley bottom. After reaching Carrara and touching the villages of Codena, Bergiola-foscalina, climb the western side of Mount Brugiana on a good trail to reach the Trekking Center of Mount Brugiana. There are numerous possibilities for mountain biking along the paths and dirt roads inside the Park. The possibility offered by the FS train and train service is very interesting. All the trains of the Lucca-Aulla line, and different from the coast line, guarantee, in fact, this service that allows us to make itineraries crossed by using the train to return to the starting point. The following are some of the most popular routes. None of these has specific signage, so it is advisable to have a good cartography or a detailed guide. Itinerary at times challenging that crosses characteristic villages with beautiful views of the Apuan Alps. From the Castelnuovo station, go up the SR 445 in the direction of Piazza al Serchio, after two Km. Take the crossroads on the left to Antisciana, continue climbing, first touching Gragnanella and then Sillicano (progessive 6.7 km). it goes down to the tennis courts of the village, from where a steep uphill path leads off into a chestnut wood, to link up, after several ups and downs, to the asphalted road that goes from Poggio to Careggine. Once in common, you cross the old town to take the dirt road that descends along the ridge until you reach the village of Vergaia and from here the lake of Vagli that you cross passing over the dam. We then descend to the “ironworks” to reach the Poggio railway station or alternatively with another 11 km of fun descent we reach Castelnuovo again. Ring itinerary of exceptional beauty, challenging in the first part, through natural environments and particularly evocative landscapes. It starts from the station of Barga-Gallicano, turn right and, passing under the railway, go along the long tree-lined avenue that reaches Gallicano, from here, following the signs for the Grotta del Vento, past the arch of the aqueduct take a carrareccia (trail sign GT) that runs along the stream on its orographic right, until you reach “le crocette” and the asphalt road that goes up to Verni and Trassilico, where a large fountain of the seventeenth century welcomes us for a refreshment break. Following the road that goes up to the cemetery you reach the ridge and from here, in short the Foce della Pompanella (17.2 km) from where the dirt road starts to descend the direction of Vallico Sotto. From here, in short, we reach Fabbriche di Vallico. From the intersection, take the road on the left that now runs along the stream to the lake of Turrite Cava. Just a few bends, and you reach the provincial road and, after crossing the Serchio bridge, you go back to Pian di Coreglia and soon you reach the Ghivizzano railway station (information point and tourist reception). Very demanding itinerary. From the station of Camporgiano go up to the village and the SR 445 that we follow on the right for 150 meters to then take a steep dirt road on the left that goes up in the direction of Casatico. Reached the village, turn right up to a large fountain, the dirt road now continues in the woods to Roggio; another beautiful dirt road then leads us to the Tontorone house, from where one of the most beautiful views of the northern Apuans can be enjoyed. The dirt road now descends steeply towards the Giovetto which marks the watershed between the lakes of Vagli and Gramolazzo. 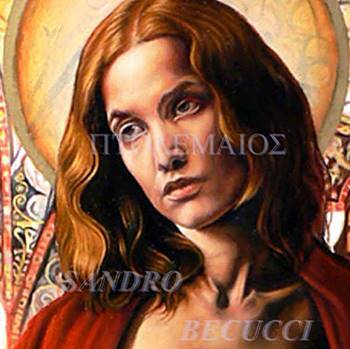 Here a detour of about 1 km is necessary to reach the green valley of Campocatino under the wall of Mount Roccandagia. Return to Giovetto and go down to Gorfigliano and Lake Gramolazzo. Take the provincial road towards Minucciano and past the tunnel, take a dirt road on the left that we will follow up to the village of Ugliancaldo, now a narrow asphalt road leads to Mezzana, then to the station of Monzone-Monte dei Bianchi-Isolano. 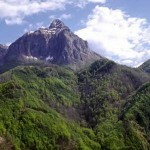 Short itinerary that allows us to go into one of the most evocative valleys of the Apuan Alps. From the station of Monzone following the asphalt road you reach the village of Equi Terme, where you can plan a visit to the Cultural Park of the Caves of Equi Terme. From the village comes off a marble road that goes into the Solco d’Equi, a real canyon that ends under the vertiginous north wall of Pizzo d’Uccello. The return can be expected from the same train station of Equi, not without having taken advantage of a dip in the thermal pool. Very challenging route to avoid during the winter. From the Cipollaio rolling road, follow the wide asphalt road that leads uphill to Passo di Croce. From here the road becomes a dirt road and continues alternating steep sections to other plains up to Fociomboli. At this point you leave the road that continues to the right and climbing over the ridge you start to go down a road closed by a barrier in the direction of Puntato (trail number 11 CAI). The track is very steep for about 1 km then continues up and down until a house at the top of a valley of meadows where the road turns into a path. At this point it is necessary to descend by traces of the path, up to the lower edge of the meadows, arriving at the Church of Puntato from where, again by signpost n. 11 CAI, you reach the village of Col di Favilla. This whole part of the itinerary is demanding, and for some sections it will be necessary to proceed with the bike on the shoulder. From Col di Favilla you follow, instead, without too much difficulty, a rather steep dirt road that goes down into the woods and after leaving a deviation on the left is grafted onto the carriage road coming from Castelnuovo in Garfagnana. near the Holy Island. Going up this road you get to the Cipollaio tunnel that you cross, paying attention to the poor lighting. At the end of the tunnel descend for about 3 km until you return to the starting point. In Lunigiana, chestnut cultivation can be traced back to the Middle Ages. From the drying of the chestnut, a hard and compact fruit is obtained, suitable to be ground and transformed into flour. The food uses are many, but the most common in the valley are: polenta, purée, focaccia, castagnaccio, soups. Beekeeping in Lunigiana dates back to centuries ago and has continued until today because the whole area is a particularly suitable area because it is not very populated and has few industrial settlements. The bees produce essentially two types of honey: acacia and chestnut. The first is liquid and clear, light in color, tending to straw yellow. The second is liquid, amber-colored.